Our beloved, husband, father, grandfather, great-grandfather, brother, friend, and patriarch, Clarence Lamar “Lou” Gehring, passed away peacefully at his home in Mesa, Arizona on March 1, 2018. He was born June 19, 1933 in Bennion, Utah son of Clarence Wilford Gehring and Fay Leone Player. Lou married his eternal sweetheart, Sonja Nichols Gehring on September 15, 1957. 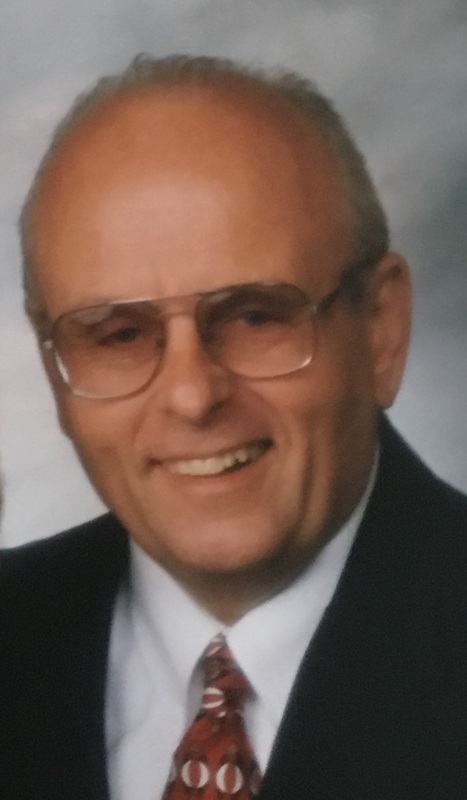 Lou served the Lord in many capacities including membership in the high council, Bishop, and Bishop’s counselor, Young Men organization and as a diligent temple worker in the Mesa, Arizona Temple. One of Lou’s favorite things to do, was correspond and encourage young men and young women serving missions for the Church of Jesus Christ of Latter-day Saints. Lou was an avid sports enthusiast, who played and coached fast pitch softball with the FMA Roadrunners, where they traveled around the country playing in many National Championships. He was an incredible statistician who could list off the stats on any professional athlete. Lou was a hard worker who loved people and loved to serve them. Lou also served in the military for two years. He graduated from the University of Utah where he was all-conference on the U of U baseball team. He was employed in the Leasing industry for many years as well as employed by the Larry H. Miller Organization in Utah and Arizona for over 16 years. His faith, love, service and sweet example have and will continue to sustain his family. Lou is survived by his wife, Sonja, children, LuAnn Gehring, Mesa, Arizona, Rob (Lori) Gehring, Palmyra, Pennsylvania, Mysti (Tim) Brown, Mesa, Arizona, Steve (Patti) Gehring, Sandy, Utah; 14 grandchildren, 5 great-grandchildren. Sisters, Norma Wood, Shirlee (Steve) Anderson, Janet (Wade) Oakeson, Marge (Harv) VanKatwyk all from Utah. Funeral services will be held Saturday, March 10, 2018 at the LDS Mesa East Stake Canter, 2228 E. Brown Road, Mesa, Arizona at 11am with a viewing at 10am. There will be a viewing Friday evening, March 9, 2018 at Bunker’s University Chapel, 3529 E. University Dr., Mesa, Arizona from 6-8pm. Interment at the City of Mesa Cemetery. In lieu of flowers, please consider donations to LDS Missionary Fund. Sonja, thinking of you… your husband must have been a wonderful man. I love that we will meet them on the other side of thr doorway. So very sorry for your loss Sonja. We wish to extend our deepest love and sympathy at this time. We have such sweet and tender feelings for this great man. May the knowledge of the Savior and His infinite atonement bring you comfort and peace at this time. I loved this man. He was a great Bishop to me in the 70th Ward. He was one of the most caring and encouraging men I will ever have the privilege of knowing. We are so sad for your loss of a wonderful man! We have so any fond memories of your family ! Love and prayers go out to all of you from our family! So sorry for your loss. I had the pleasure of working with Lou in the Mesa Arizona Temple for many years. He was always willing to do whatever was asked of him and was a pleasure to be around. He always very much wanted the Lords work done correctly. I will miss him greatly!